Misdiagnosis is the improper diagnosis of a patient. This includes cases of delayed diagnosis, wrong diagnosis, and failure to diagnose at all. It is a major problem that can lead to a medical malpractice suit. While all medical malpractice lawsuits are subject to the same legislation, the key elements of a suit claiming improper diagnosis can be different than one claiming negligent behavior. A victim of misdiagnosis should be aware of these differences. In some cases, a misdiagnosis can be deemed “reasonable.” A reasonable misdiagnosis occurs when a doctor makes a diagnostic error that seemed agreeable with the symptoms of the patient. For example, fibromyalgia is a condition of widespread chronic fatigue and pain. It is difficult to diagnose because there are no known causes for this disorder. A medical practitioner may fail to evaluate the number of tender points on the patient’s body or may not adequately track the patient’s history of generalized pain. The doctor may prescribe headache or migraine medicine, but neither medication can ease the oversensitive nerves of a fibromyalgia patient. In this case, the physician failed to fully investigate the patient’s symptoms. Through lack of examination, a misdiagnosis may occur. The patient can sue for medical malpractice if it is negligent enough to cause damages. delayed diagnosis. If a health care provider chooses to downplay or ignore a patient’s symptoms, then the testing may occur too late for the ailment to be adequately treated. This can also happen as a result of inadequate or misinterpreted screenings. inaccurate diagnosis. If a medical practitioner fails to run adequate testing, or if the results of a test are read incorrectly, then the patient could be diagnosed with the wrong ailment. failure to diagnose. If a health care professional does not sufficiently examine the patient, or if testing is not properly ordered, then the doctor may fail to diagnose the patient entirely. A physician may underestimate the severity of a patient’s illness when suggesting medical care. As a result, the treatment provided for the patient could prove ineffective. This negligence can cause damages to the patient, such as wasted time and money. When considering serious ailments, a patient should always seek a second expert opinion. It needs to be proven that a delayed, inaccurate, or failed diagnosis caused harm to the patient. Damages and injuries may vary depending on the exact medical issues. The two main types of damages are economic and non-economic damages. Economic damages are financially measurable, such as lost wages, while non-economic damages are more closely related with pain and suffering. 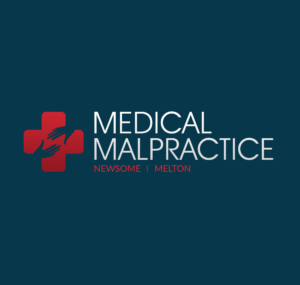 Real damages must be present to claim medical malpractice. Nurses and other medical staff usually assist a doctor in treatment. All assistants are involved in the patient’s medical treatment and can be held liable for certain mistakes. Medical assistants frequently conduct basic testing, such as checking the patient’s weight, blood pressure, and pulse. Nurses may also administer medication, insert catheters, or perform emergency procedures such as CPR. If a medical assistant fails to correctly treat the patient, then the damages may be due to the assistant’s mistakes instead of the doctor’s decisions. Physicians, nurses, and medical facilities, such as hospitals, may all be held liable in the court of law. Medical experts testify in every malpractice lawsuit. In a case of improper diagnosis, expert testimony is narrowed down to very specific questions. The medical professional must only assess whether the misdiagnosis was reasonable or unreasonable. A victim of diagnostic error should obtain an affidavit of merit from a medical expert prior to filing a claim. In some states, the affidavit of merit is called a certificate of consultation. They are basic documents stating that an uninvolved medical professional has identified the case as malpractice and will serve as an expert witness in trial. These documents are handled by the victim’s medical malpractice attorney. Davenport, John, and Helen Lippman. “Sued for misdiagnosis? It could happen to you: plaintiffs’ attorneys and patient safety advocates alike are increasingly focusing their attention on diagnostic errors. Here are the key pitfalls and ways to avoid them.” Journal of Family Practice Sept. 2010: 498+. Academic OneFile. Web. 31 May 2012. “Diagnosis.” National Fibromyalgia Association. National Fibromyalgia Association, n.d. Web. 31 May 2012. Starr, David S. “Case #2 misread x-ray delays diagnosis: did the holdup translate into a worse outcome? That question becomes central to a drawn-out case.” Clinical Advisor Mar. 2006: 98+. Academic OneFile. Web. 18 May 2012. White, Caroline. “Rate of misdiagnosis of childhood epilepsy ‘may not be unusual’. (News).” British Medical Journal 15 Feb. 2003: 355. Academic OneFile. Web. 31 May 2012.